The spirit of the Olympics has arrived and soon we will be watching our Aussie Olympians head to Rio De Janeiro for the 27th Summer Olympics. 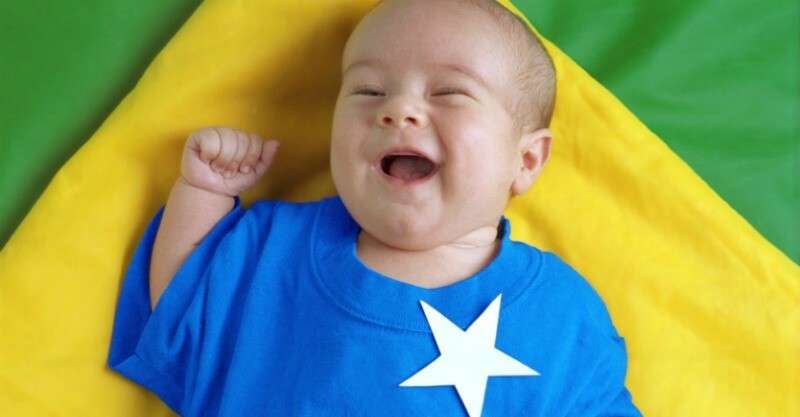 If you are expecting a winter baby, then you may want to show your Olympic sporting spirit and go for one of these adorable and popular names straight from the sizzling shores of Brazil. What are some of the trends for popular baby girl names in Brazil? Eloquent names ending in an “a” and “ia” are a common appearance on the list as are names with double consonants. Some of our very favourite on the list that are both beautiful and original include Livia, Marcela and Ayla. What are your favourites? The popular trend for Brazilian parents is to choose a strong, yet sweet name for their little ones. However, a few names popular in Western countries also made the list including Lucas, Samuel and Arthur. Some of our favourites include Caio, Calebe and Renan. How about you? Looking for more unique baby names? Check out our Shakespearean inspired baby name selection and our very favourite baby names from our Babyology readers. You are bound to find a few (dozen) to add to your list.